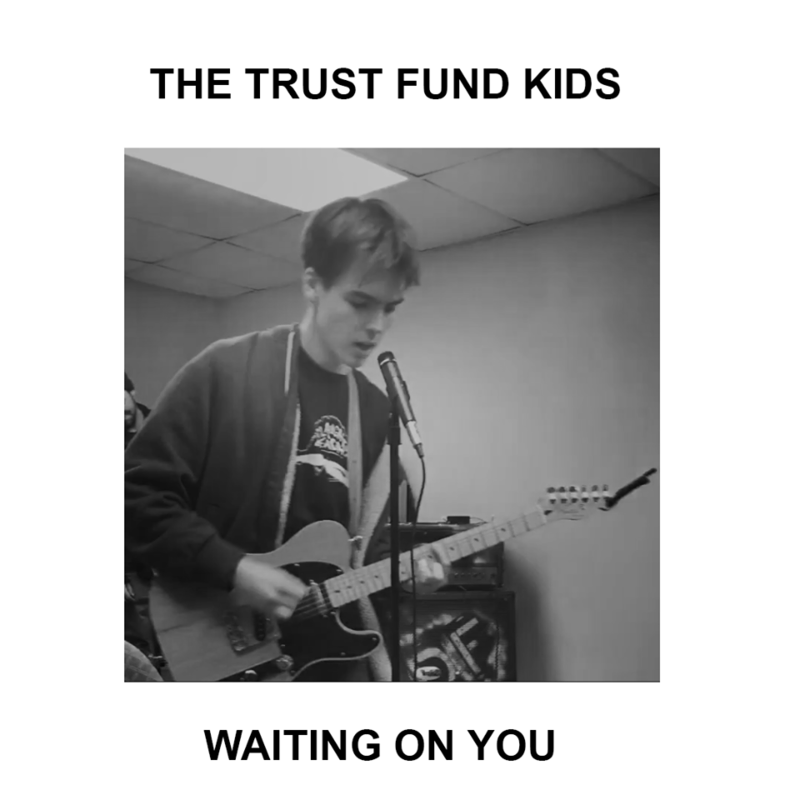 The Trust Fund Kids is a band based out of Philadelphia, with one member, Kevin Connor. They released their debut single “Waiting On You” on February 16th. The song was written, performed, and produced all by Connor himself in his freshman dorm at Temple University. The song has heavy influences from garage and indie pop-rock, with a strong guitar focus. The guitar is clearly Mr. Connor’s favorite instrument, as the song is written around the raw melody. You can sense the emotions of heartbreak and anxiety throughout the piece, which gives the listener insight into what Connor was feeling and portraying to his audience during the writing of “Waiting On You”. Technically, the song is 4 minutes and 30 seconds long, but what would typically be the main release ends around the 3:30 mark. After a brief pause, the song kicks back in with a version of the verse and chorus guitar lines, but backwards. It’s a unique and creative way to end a debut single and keep you humming that melody for the rest of the day. You can hear Kevin's creative guitar riffs featured throughout Make Yourself Decent, his demo release from September.